I remember attending my first Bible camp as a very young boy. I was about 10 years old and it lasted for a week during the hottest part of the summer. As a 4th grade boy, going to camp served as both a break from my pesky brother, as well as an escape from pulling weeds around my parent’s yard at home. and I remember it very well, but for reasons beyond the scope of boyhood. Bible camp was the first time I remember feeling the presence of God in my life. God used that time to lay His hand upon my young heart and let me know He was there for me and was watching over me. I wonder if you had this experience too? 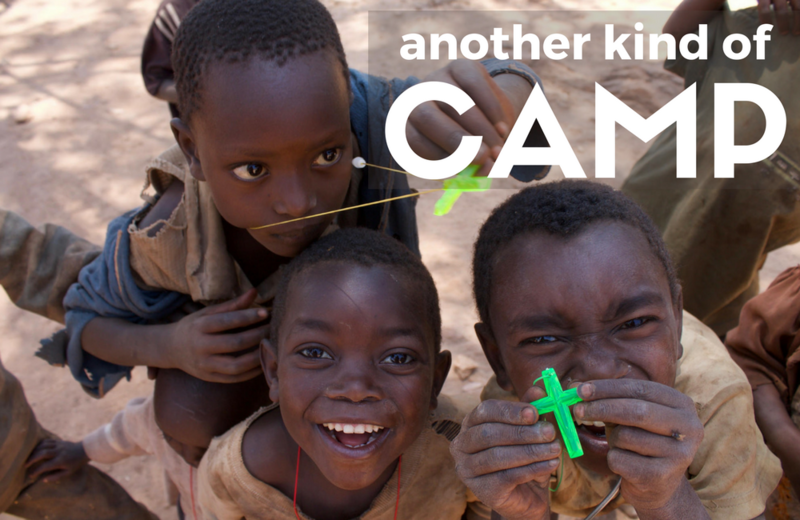 Over two-thousand Sister Connection widows and orphans have an opportunity to go to camp this August. And while camp will provide moments for them to relax and reconnect with others facing the same obstacles in life, it is also an opportunity for them to connect with God’s Word. Camp is a time God will use to lay His hand on their hearts and to assure them that He is watching over them and loves them. Will you please help send each and every one of these precious women and their children to camp? For $30, we can transport them to camp, feed and house them, and provide them with a memory good enough to last a lifetime. At the same time, God will make it a moment to last forever!